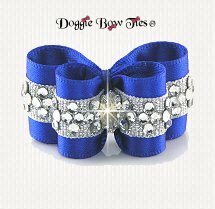 Mr Foo's Wickedly Hot Design ~ "Wicked"
Doggie Bow Ties offers beautiful crystal and pearl dog bows in this smaller size which is perfect for your show dog's first show at 6 months old. 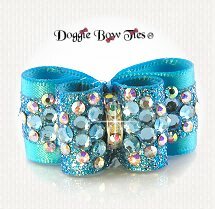 Sometimes you need a more elaborate show dog bow and hopefully one of my crystal designs will suit your need. 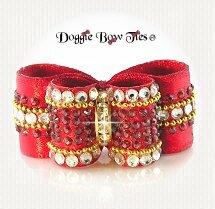 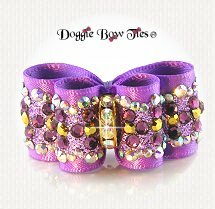 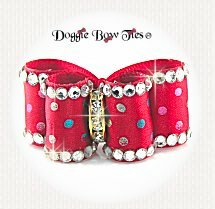 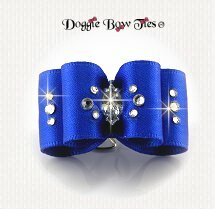 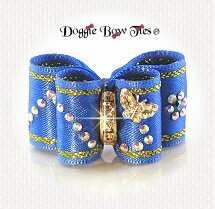 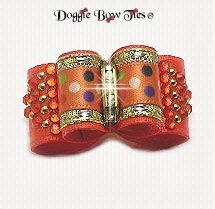 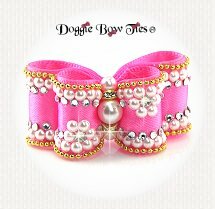 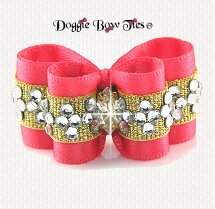 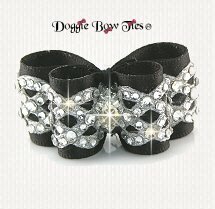 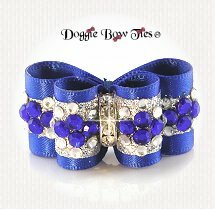 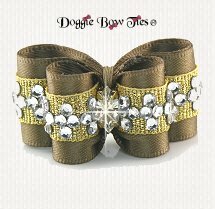 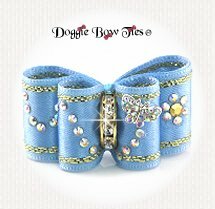 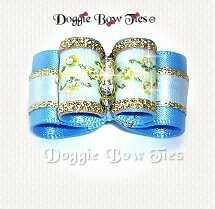 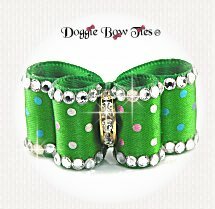 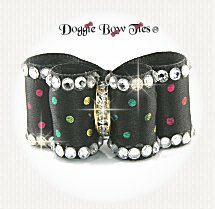 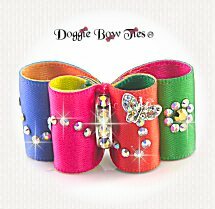 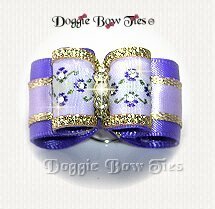 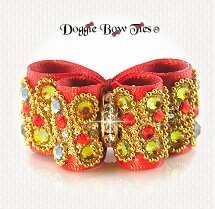 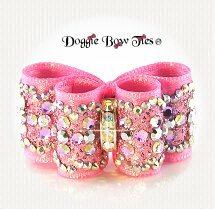 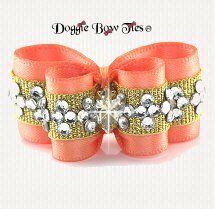 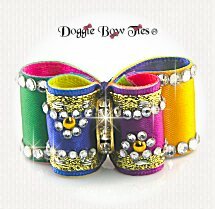 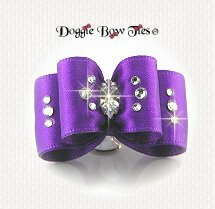 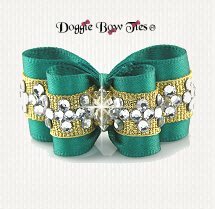 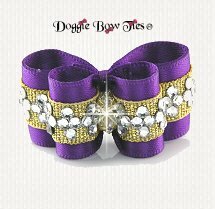 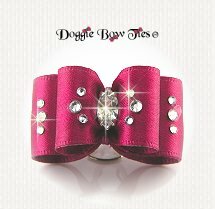  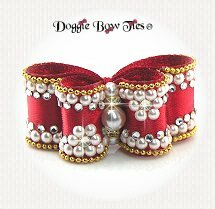 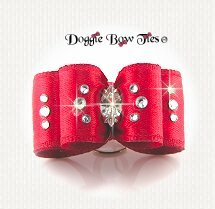 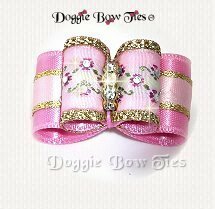 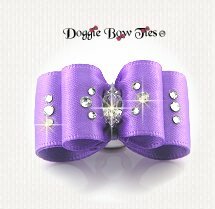 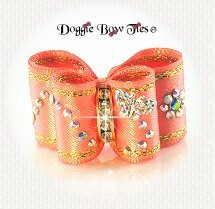 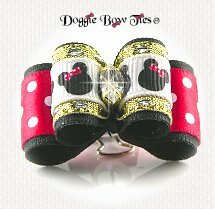 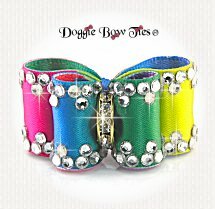 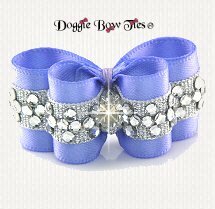 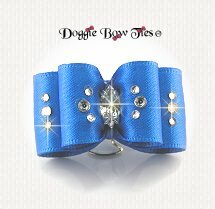 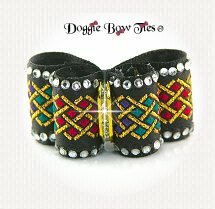 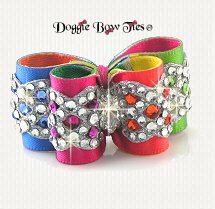 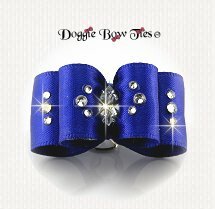 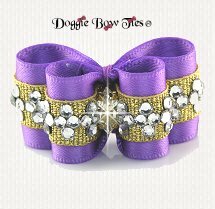 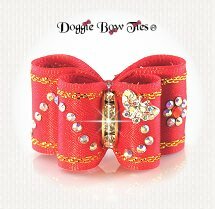 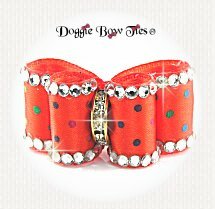 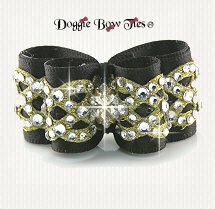 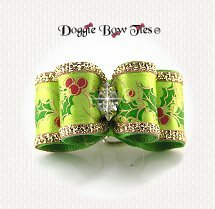 Please check this page often for new dog bows which I will be adding soon! 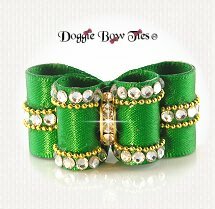 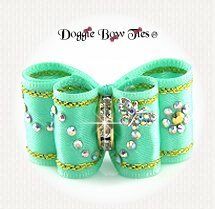 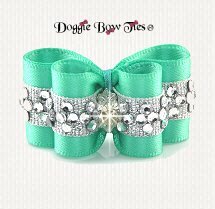 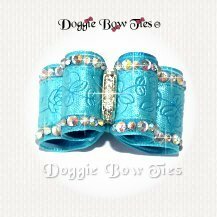 Choden's Nugget of Truth "Nugette"
AB Crystal Turquoise Embossed Flower dog bow! 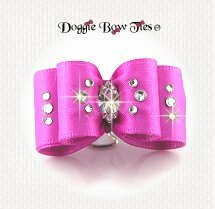 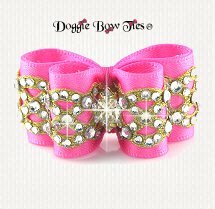 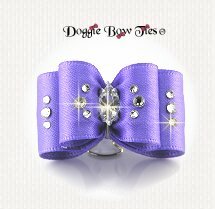 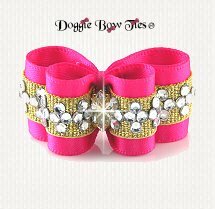 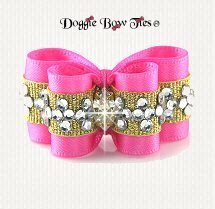 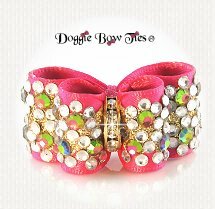 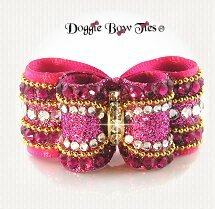 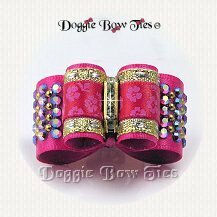 Crystal Fuchsia Double Hearts dog bow! 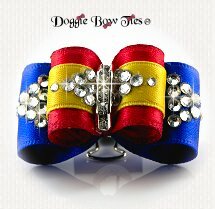 Have you ever thought about using color theory to choose the best color dog bow for your show dog? 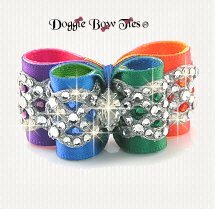 A little knowledge of color theory will help you to understand what makes a dog bow color “pop” on your dog, and will help you achieve the effect that you desire. 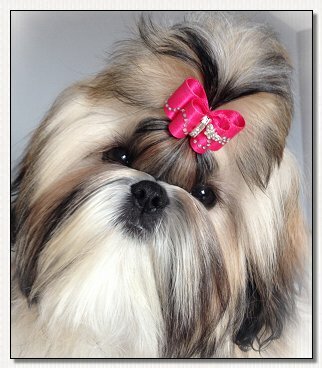 You can learn to make a beautiful poofy show topknot on your Shih Tzu by following the steps in this article! 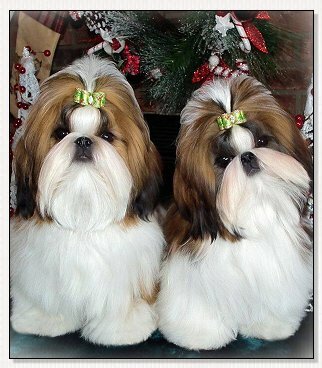 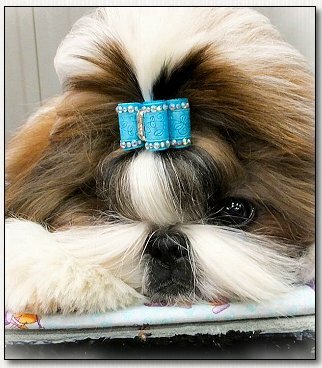 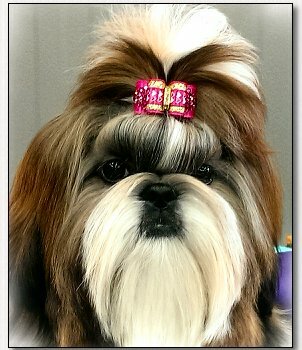 Doggie Bow Ties has written many articles that provide instruction for shih tzu care and grooming, such as learning to make maintenance topknots, as well as shih tzu cut downs showing the process with pictures and explanations. 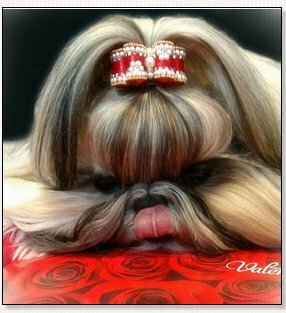 Please check out my "articles" page on the home page for a full listing of available helpful articles and content.